With all due respect, I am writing this letter with a sincere request to replace the tables and chairs in the dining hall with new ones. (Describe in your own words). Since the academic year is off to a fresh start and we have many new freshmen in our batch the dining hall now gets very crowded. There are not sufficient tables and chairs for the students to sit on which is quite problematic. (Explain the actual cause and situation). A lot of students have to sit on the floor to have their lunch since there is no place elsewhere to sit. The old chairs and tables are broken, unhygienic and creaky. (Explain actual situation). It is difficult to sit on them since they are quite stiff and not very comfortable. Students come to the dining hall to relax during lunch time after studying rigorously for hours and complain of backaches. It is important that we cater to the student’s needs. (Cordially Describe your requirements). I hope you will look into this situation and replace the old chairs and tables with new ones in the dining hall. We will be waiting for your affirmative action. With due respect, I wrote this letter to request for the new chair and table in the classroom. As the new batch that joined the A level this year is very large in number so it is really difficult for all of them to get settled in the classroom. (Describe in your own words). Most of the student have to either sit outside the hall or in the classrooms during the break which is very convenient. 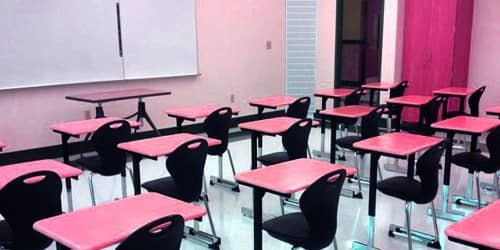 In addition to this, the other problem is that the present furniture is a really old and pointed side of nails is coming out from the surface of many chairs and tables which has injured many students and at times torn apart their uniform. (Explain the actual cause and situation). If you approve our request, we all would be very grateful to you. Thank you.